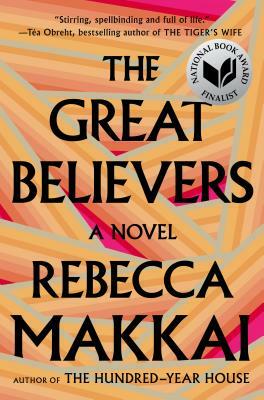 Set largely amidst the onset of the AIDS epidemic in Chicago, The Great Believers covers a tragic subject, but Makkai’s style is so weightless - Fitzgerald himself comes to mind, for which the book is named, and whose quote serves as epigraph – that reading it is genuinely a (bittersweet) pleasure. It so clearly celebrates the rewards of opening ourselves up to love, even as it amplifies the risks. Makkai draws direct parallels between the Chicago scene in the 80s to that of Paris in the first years of the last century, to Fitzgerald’s own peers, of which he said, “A strongly individual generation sprouts most readily from a time of stress and emergency.” Decimated through war and disease, his was a group whose great hope, whose great disillusionment, fueled art that still inspires us a hundred years later. Despite Fitzgerald’s self-aware observation, it is hard to recognize when we might be living in a golden age, and harder still to come to terms with the sacrifice through which it might have been forged. Makkai handles all of these ideas with grace and insight through characters I couldn’t help but love.